Coming in for your 60K mile service visit isn’t something you are probably looking forward to doing. However, it is necessary if you wish to get a long and reliable life from your vehicle – and who doesn’t want that? You have spent a large sum of your hard-earned money to purchase the vehicle, so maintaining it at a high standard only makes sense. The team here at Ed's Car Care Center in Fort Wayne is ready to get to work on your 60K service right away and make sure that you can drive off with confidence knowing your engine is in the best possible condition. We have been in business here in Fort Wayne for 33 years, and have learned a few things along the way. For one, we know that our customers appreciate great service that extends far beyond the garage. 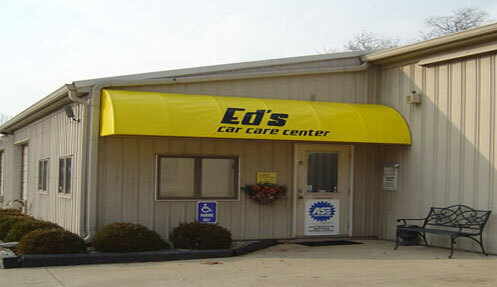 Convenience and auto care don’t often go together, but they do here at Ed's. 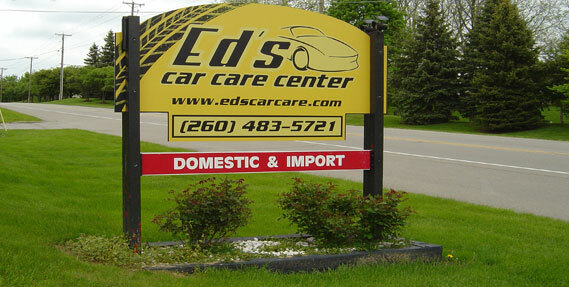 You can bring every car in the family to Ed's Car Care Center for a 60K service because our team of A.S.E. Certified Technicians knows how to work on almost all of them. That list includes models from the major manufacturers like Ford, Chevrolet, Nissan, Volkswagen, Toyota, BMW, Lexus, Dodge, Jeep, Honda and more. Our staff will be sure that your vehicle gets exactly what it needs and is returned to you in a better condition than how you brought it in.